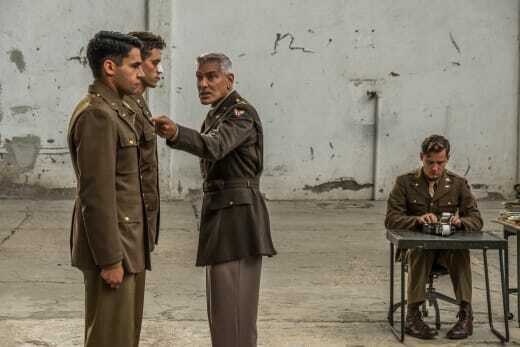 There is a premiere date for Hulu's upcoming series produced by George Clooney, Catch-22. 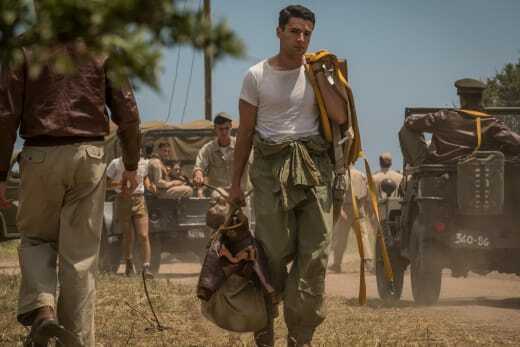 Based on the Joseph Heller novel of the same name, the series follows a bombardier named Yossarian (Christopher Abbott) whose only hope is to get out of the war alive. But he and his fellow soldiers discover that the closer you get to your mission quota, the more missions are added making it impossible to get out. More fun comes in the way the military treats its soldiers. Related: Hulu Sets Premiere Dates for The Handmaid's Tale, Catch-22, and More! The Catch-22 is that the guys don't have to fly all of their missions if you deem yourself crazy. But one of the indicators of sanity is asking not to fly your missions. After all, who would want to fly in such dangerous circumstances and drop bombs? George Clooney stars as the barking mad, parade-obsessed Scheisskopf and directs the six-episode series, along with Grant Heslov and Ellen Kuras. Hugh Laurie is the mellow, slightly checked-out Major de Coverley. 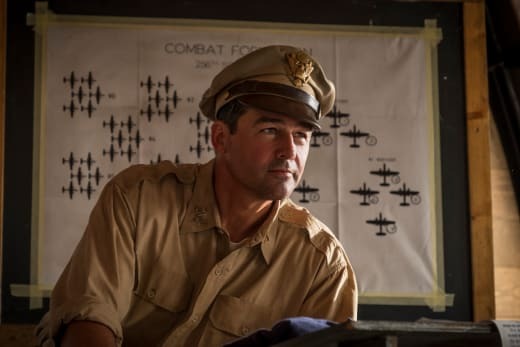 Kyle Chandler is Colonel Cathcart, the man who keeps increasing the missions the men have to fly. 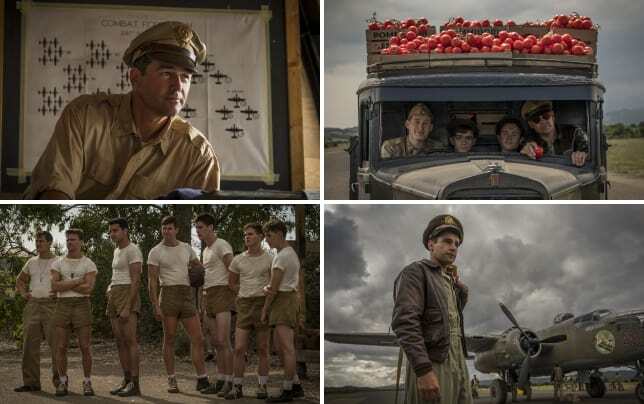 Catch-22 premieres with all six episodes on May 17. While it's unlikely we'll be reviewing this one episodically, we'll have a review for you before the show premieres if advance viewing is available. In the meantime, watch the trailer below. Clooney does zany very well, and this looks like his signature stuff. The dialogue in the trailer is enough to get me to press play right now! "You're saying he had his balls blown off." Not many actors other than Clooney could pull off that with a straight face, but he makes it sound incredibly ridiculous and very human at the same time. Drop us a comment below and share your thoughts after you check out the trailer.